Whether you are building a new house, remodeling, or just needing to replace a faucet in your utility room, you want to find the perfect part to match your utility sink and style and décor. PlumbersStock offers the information you need to make an educated purchasing decision. 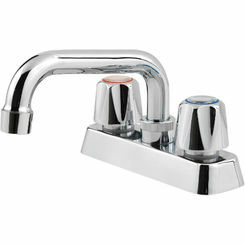 When deciding which utility sink faucet to buy, you need to be thinking of the functionality you desire. Is it for your laundry room? 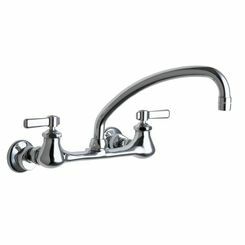 These faucets offer threading for hook-ups, which serves as the primary distinguishing characteristic from laundry faucets. Faucets can serve many needs, from rinsing out your laundry to washing your pet. 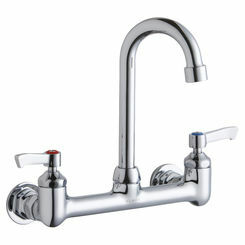 PlumbersStock is here to help you decide which faucet is best for you. Handle – How does the handle feel when you move it? 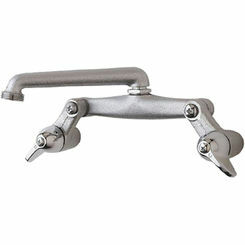 The handle should be comfortable to the touch, easy to move, but firm in its maneuverability. 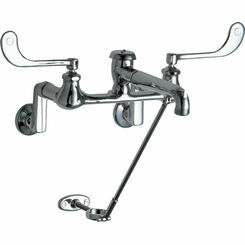 When considering laundry room faucets keep in mind that maneuverability will probably be your top priority. 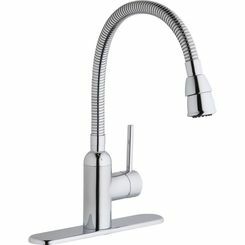 If purchasing one of our faucets online, feel free to contact one of our customer service representatives with any kind of question. 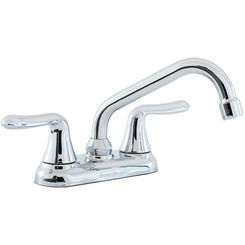 Finish - Choosing the finish of your utility faucet may be your most particular demand. PlumbersStock gives you a wide variety of choices when it comes to finishes, even some hard to find products available exclusively here. Stainless Steel, brushed nickel, and satin finishes are growing fast in popularity. 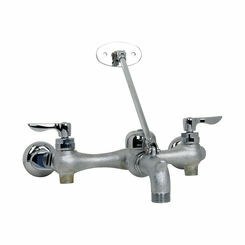 If your laundry room is in a high traffic area of your home, you may want a utility faucet with a vintage look. Try finishes like oil-rubbed bronze, wrought iron, or hammered copper. Finally, you may want to look into getting a matte chrome finish that looks similar to aluminum or getting polished chrome, giving your utility sink/faucet a bright sparkle. 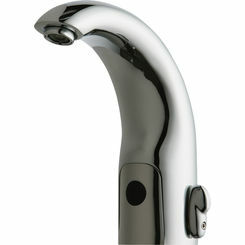 Chrome finishes do not take as much upkeep as some other finishes to keep them looking bright. Filtered vs Unfiltered Laundry Room Faucets - Having a filtered faucet can bring a lot of added quality to your laundry room, bringing you clean, fresh water in an instant. 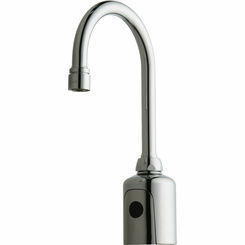 There are claims that using filtered water helps to remove stains more effectively, and can be gentler on your skin. You should consider that having a filter can slow the water flow of your faucet. 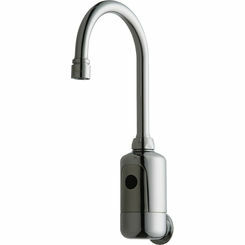 If water flow is more critical than filtered water, getting a non-filtered faucet is best for you. 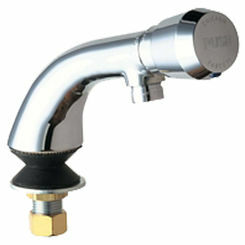 Spouts - There is a variety of spouts to choose from for your utility faucet. You can get one that is short and stationary, giving you more room to maneuver in the basin of the sink, or consider getting a long and lean handle that will twist to either side. 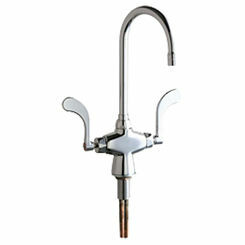 You may want to choose a spout that can pull out from the base and move around to rinse those hard to reach spots. 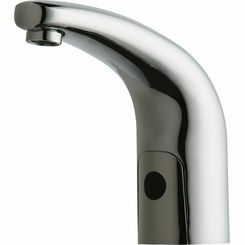 Think about the functionality you want from your sink, and we’ll help you find a spout that meets your needs. 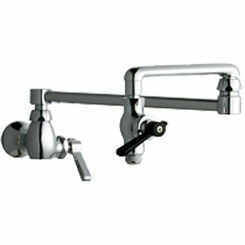 Handles - You can choose single handled, double handled or automatic when it comes to your faucet. There are some advantages to each. 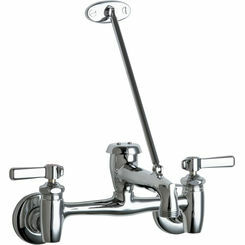 Single-handled utility faucets can be very useful when your hands are dirty or covered with soap, allowing you to push on the water with your wrist. 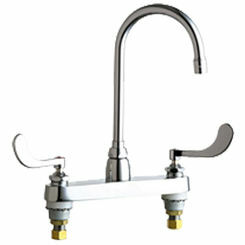 Double-handled faucets allow for better temperature control. 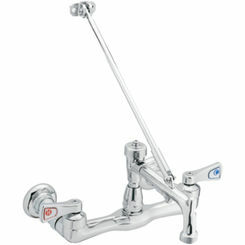 Automatic faucets are ideal if you can work with a set temperature. Counter Mount vs. Wall Mount - Traditional sinks are installed on the counter, but some are choosing to turn to an on-the-wall mount for their utility sink. 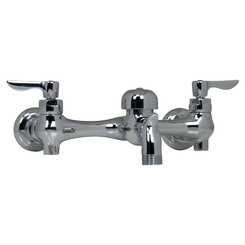 Faucet choices should be considered with mount type in mind. The on-the-wall mount gives your utility room a modern and distinct look, frees up counter space and helps to avoid the grime build up that often accompanies counter mounts. 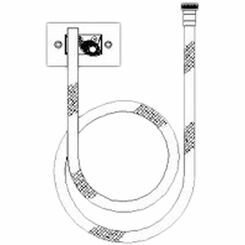 Plumbing hook ups may not currently exist in your home for a wall mount, so this should also be considered. We are dedicated to bringing you superior service to help you in any project. 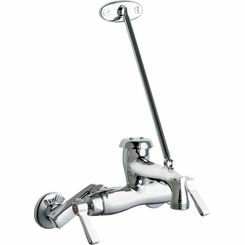 If you have any further questions about utility faucets, please contact our professional associates! 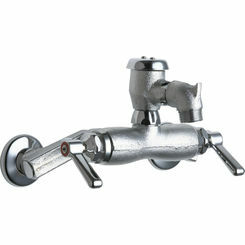 Don't forget faucet supply lines and replacement faucet parts for your installation. 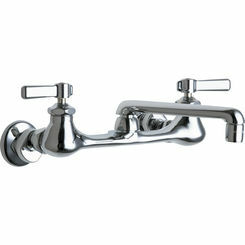 We carry utility sink faucets by Chicago, Delta, Elkay, Kohler, T&S Brass, and ALFI.